Israeli Prime Minister Benjamin Netanyahu chairs the weekly cabinet meeting in Jerusalem, Sunday, May 6, 2018. Founded in 2005, BDS calls for “recognizing the fundamental rights of the Arab-Palestinian citizens of Israel to full equality." It also advocates for the return of millions of Palestinians to the homes their ancestors left or were forced from when Israel was established in 1948. Israeli officials allege the BDS movement is anti-Semitic and seeks to destroy the country. 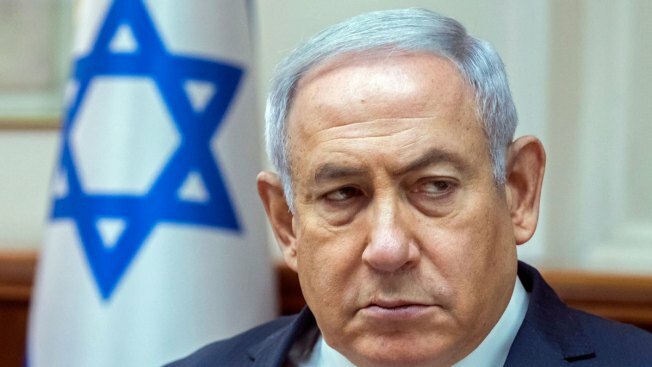 Prime Minister Benjamin Netanyahu's government has spent at least $15 million on combating BDS since 2015, NBC News reports. But still, the BDS movement gains momentum. Last month, some 50 artists including Pink Floyd co-founder Roger Waters, fashion designer Vivienne Westwood, singer Peter Gabriel, and pop band Wolf Alice published a letter calling for this year's Eurovision song contest to be moved from Tel Aviv because of "Israel's systematic violation of Palestinian human rights."